Elsewhere, LNER is reviewing its strategic and creative, digital and CRM accounts, while Pukka Pies also seeks three agencies. 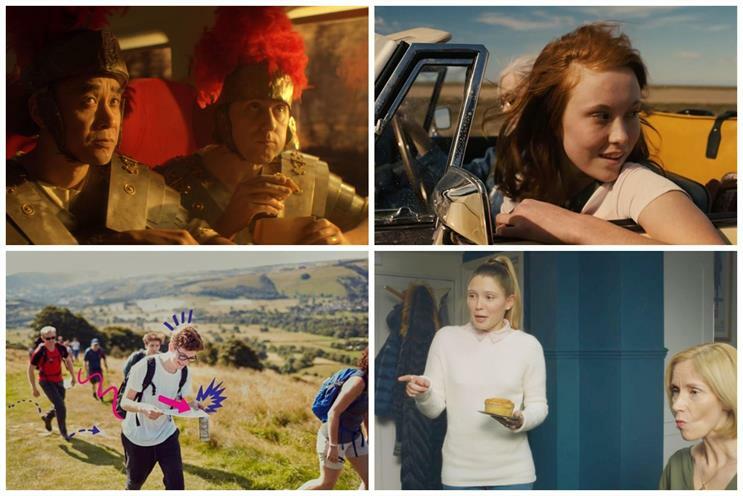 Six agencies are in contention for the creative account of the National Citizen Service: Above & Beyond, Karmarama, Poke, The & Partnership, VCCP and Wonderhood Studios. The organisation has held chemistry meetings and pitches are set to take place at the end of April. NCS said the account was worth about £1m each year over four years for ongoing marketing and creative services, including a brand refresh to "drive participation and inspire young people to take part in the NCS programme". Ogilvy is the incumbent. Marks & Spencer held the final pitches for its clothing and home ad account on Tuesday. Agencies are expecting to get a result within the next week. ODD, Pablo and The & Partnership are in the running. Oystercatchers is working with M&S on the pitch. Pukka Pies is reviewing its advertising, shopper, and PR and social accounts with the help of Creativebrief. The brand wants to appoint three separate agencies and has worked with a number of shops in the past, including Quiet Storm. It is looking for a long-term relationship and is expecting to make a decision in May. London North Eastern Railway, the new east coast rail line operator, is searching for three agencies to handle its strategic and creative, digital and CRM accounts. Creative incumbent Anomaly and digital and CRM incumbent TMW Unlimited will be repitching. The process is going through the Official Journal of the European Union and Creativebrief is assisting the brand on the review. Homebase has appointed Havas Media to work on its media planning and buying account after a competitive pitch managed by Ebiquity. Incumbent Initiative UK declined to repitch. The Department for Digital, Culture, Media & Sport has retained AKA to handle its media planning and buying business for a further four years. Vita Coco has moved its media business to Yonder Media without a pitch. The previous incumbent was Phar Partnerships. Thames Valley Air Ambulance has picked Hatched to work on its full-service user experience and web design account. The review was run through Creativebrief.